If you have ever been in a life and death situation then you would appreciate the importance of a survival flashlight. These are flashlights for every situation and act as a great backup for extreme ones. 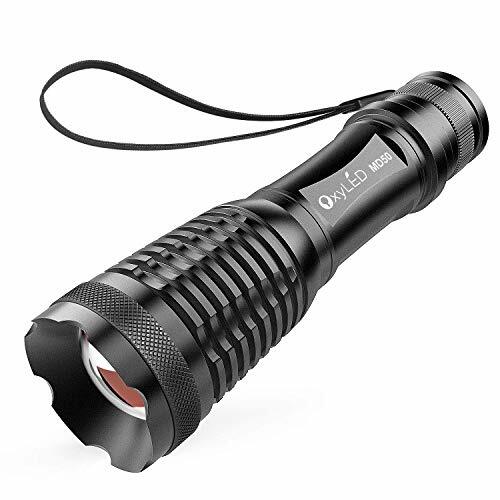 Their features and accessories make the unique from other flashlights and without which they are just ordinary lighting devices. So, how to find the best survival flashlight? 2.3 Rechargeable or non-rechargeable Battery? One thing that you would find exclusively in these flashlights and not any other are the accessories. The survival flashlight has everything you need in case of an emergency. It can practically transform from a source of light to a blunt object for self-defense. Plus, it would prevent an attack from happening by blinding an assailant using its high intensity flash. Among the accessories that make a survival flashlight stand out from the rest are diffusers, color filters, spare O-rings, holsters, remote pressure switches and weapon mounts. Colored filters are great for reading purposes. This gives a range of color options that a user feels comfortable when reading under. The diffuser converts bright light into ambient light which could make a room look attractive. Apart from having the usual brightness modes they have SOS and strobe modes. SOS functions come in handy during an emergency while strobe pattern can be used for signaling in times of crisis to get the attention of rescue teams. For search parties head lamps and hat clips are the best. Survival flashlights meant for outdoor activities usually have very high lumens for lighting up dark alleys and safety too. They are 1000 and above and have a long beam distance. On the other hand the ones meant for reading function work well with 60 lumens. The zoom function is a desirable function for changing the beam from fixed to focus when there is a need. Controls and switches should also be placed in positions that different modes can be accessed easily and within the shortest time. When it comes to batteries, both disposable and rechargeable types are good. Disposable ones are desirable for people who don’t use the flashlights frequently. They are cheap and finding them in shops and supermarkets is easy. For this type of batteries, lithium based are more dependable than Alkaline based. Rechargeable batteries are even better because they have a longer life span. Their initial cost is high, but their extended life makes them rechargeable up to 500 times. Finally, survival flashlights have to be built with strength. They are rugged and robust for durability and for security purposes. The most common construction material is the aircraft grade of military grade aluminum. This is good for protecting the lenses and the body from shock and impact. Stainless steel finish makes them waterproof and useful even in adverse weather conditions. At this point it is best to look at a number of survival flashlights that are available to consumers and compare what they have to offer in details. This includes brightness, battery life, modes available, sizes and weight and technologies that make the rank top among their counterparts. This is without a doubt the best survival flashlight in my opinion. It comes with 3 LEDs that have an exclusive life span of illumination. It is powered by a high capacity lithium battery and in case you are in a place with no electricity it generates its own power using a crank dynamo. 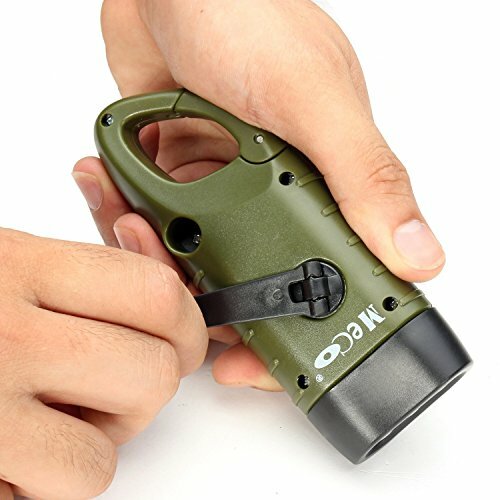 Measuring weigh only 0.62 pounds, 10.83 inches in length and standard bezel diameter of this flashlight pack give us more than a dozen features meant for survival. 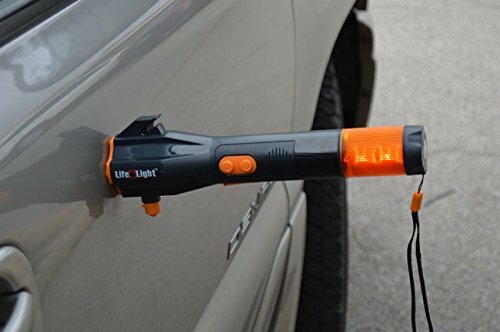 It has a seat belt cutter that can free you from your car seat in case of an accident and on top of that a safety hammer for breaking emergency doors. With a high capacity charging input this gadget can charge your phone and you can mount emergency flashers on magnets found on its body. There is a compass on its tail end and a red light which can be flashed to draw attention during an emergency. It is portable weighing also very light to use. Oxyled makes use of Cree T6 LEDs that have a safe life span of 50,000 hours. It uses one 18650 rechargeable battery but has an option of 3 AAA batteries which powers it to produce a light output of 800 lumens. An AC charger is included for your charging needs. It has 5 adjustable modes which include SOS and strobe modes plus a zoom option for multipurpose uses. The body is made of aluminum alloy with an anodized finish to withstand abrasion and its water resistance capacity is IPX6. It weighs 6.63oz and has a length of 5.31 inches and a diameter of 1.57 inches. The emergency flashlight is powered using solar energy and a hand crank that makes use of a Carabiner dynamo. It has a clip attached to it that is used for cranking. Apart from this it has a rechargeable battery that is inbuilt that stores energy. It is light weight and small, weighing 0.25 pounds with a length of 5.9 inches.It has a snap tail clip at one end that makes it easy to carry anywhere. The led used is Cree with 10W power bulb that produces 1000 lumens of light. To purchase it comes with a rechargeable 18650 battery plus a charger. Its beam lights up 300 yards in front of you and its focus is zoom-able. It has 5 brightness levels; high, medium, low, strobe and SOS which can be accessed effortlessly using a tail button. 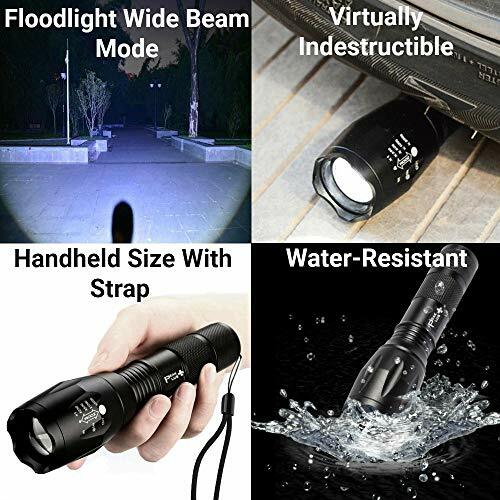 This tactical flashlight is recommended for use by police and military because of its aluminum body that guaranties durability and strength. It is resistant to shock. 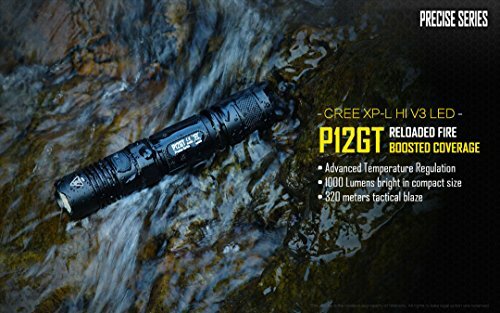 The XP-L HI V3 LED Nitecore p12gt gives an ultra-bright light of 1000 lumens. This best Handheld Searchlight beam intensity is measured at 25,700 cd and throw distance is 350 yards. It is powered by a single 3400mAh 18650 battery that is included in the kit. P12GT has selectable modes that are accessed using a side switch and other tactical switch for illumination purposes. Its best feature is the temperature regulation system that is inbuilt. Having known what a survival flashlight is and reasons why you need one. We have also seen how to select the best survival flashlight and it is quite clear that you can choose one of those flashlights that makes a good case for the survival situation. Survival kit always help to overcome your problem.